NOTE: These are the old 48 paper format *NOT* the expanded e-book versions! Expanded versions are available only on AMAZON. No Blue Books Will Be Shipped from Dec 14 to January 13th (except e-books). Note: Postage prices have gone up... after ten years at 2006 rates! 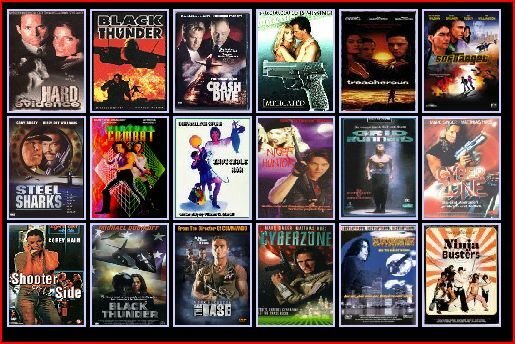 "Bill Martell is one of Hollywood's best action-adventure writers, with 17 produced films and TV shows to his credit. His "little blue books" on the art of screenplay writing are legendary," Best Selling novelist Dale Brown ("Strike Force", "Flight Of The Old Dog"). Twenty old school paper booklets, each focusing on a specific portion of the craft, from VISUAL STORYTELLING SECRETS to SUPPORTING CHARACTER SECRETS. Not enough material for a book, too much for an article. Most of the booklets in the "Blue Book" series run 48 pages* and are priced at $4.99 (plus $2.00 P&H). ALL SEVENTEEN AVAILABLE BLUE BOOKS... Buy all 17 (available) Blue Books, get the Pitching Blue Book FREE! #1 YOUR IDEA MACHINE -- How to generate great ideas and create that killer concept. (48 pages -- $4.99 + $2 P&H USA, $2.50 Canada, $3.50 Foreign), - READY TO SHIP! #2 SECRET OF OUTLINING -- Various outline methods, examples, pacing your script, more! (48 pages -- $4.99 + $2 P&H) - READY TO SHIP! #3 STRUCTURE IN ACTION: THE MATRIX -- Learn basic script structure. (48 pages -- $4.99 + $2 P&H) - READY TO SHIP! #4 SECRETS OF STORY: LIAR LIAR -- How stories work, subplots, elements, using LIAR LIAR. (48 pages -- $4.99 + $2 P&H) - READY TO SHIP! #6 HOOK �EM WITH YOUR FIRST TEN PAGES -- Top tips to grab readers! (48 pages -- $4.99 + $2 P&H) - READY TO SHIP! #7 CREATING STRONG PROTAGONISTS -- Prevent passive protagonists! Top tips! (48 pages -- $4.99 + $2 P&H) - READY TO SHIP! #8 VISUAL STORYTELLING SECRETS -- How to show character without dialogue. (48 pages -- $4.99 + $2 P&H) - READY TO SHIP! #9 DESCRIPTION -- It's 50% of your screenplay... Top Tips to make sure it's pulling 50% of the weight! (48 pages -- $4.99 + $2 P&H) - READY TO SHIP! #10 DIALOGUE -- Learn the secrets of creating sparkling dialogue! (48 pages -- $4.99 + $2 P&H) - READY TO SHIP! 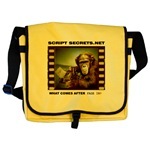 #11 SCENE SECRETS -- Learn how to tune up your scenes, link scenes, add spice to existing scenes! (48 pages -- $4.99 + $2 P&H) - READY TO SHIP! #12 SUPPORTING CHARACTER SECRETS -- Creating memorable supporting characters. (48 pages -- $4.99 + $2 P&H) - READY TO SHIP! #13 ACT 2 SECRETS -- Get rid of the Act 2 blues with these top tips! (48 pages -- $4.99 + $2 P&H) - READY TO SHIP! #14 WRITE A BLOCKBUSTER -- Write a big summer blockbuster! Using "Gladiator", "Planet Of The Apes" and other examples! (48 pages -- $4.99 + $2 P&H) - READY TO SHIP! #16 GRAND FINALES -- Creating great endings for your scripts. (48 pages -- $4.99 + $2 P&H) - READY TO SHIP! #17 REWRITES -- How to cut your script, rewrite to strengthen character and theme, and get your script ready for market. (48 pages -- $4.99 + $2 P&H) - READY TO SHIP! #19 TREATMENTS AND LOGLINES -- How to write a logline, treatment, synopsis, one pager, leave behind, and one paragraph synopsis! (48 pages -- $4.99 + $2 P&H) - READY TO SHIP! #20 SELLING YOUR SCRIPT -- From Query Letters to Guerilla Marketing and from Agents to Managers. (48 pages -- $4.99 + $2 P&H) READY TO SHIP! CRAZY EIGHTS! - Ordering eight Blue Books? These buttons automatically charge you for EIGHT Blue Books and postage (only $5 in USA). List the eight selections in the "note" section. MULTIPLES OF FOUR - Ordering four, eight, twelve, sixteen or twenty Blue Books? These buttons automatically charge you for FOUR Blue Books and postage. List the four selections in the "note" section. Please allow 2 weeks for shipping, sent USPS. ANIMAL TESTING: It is First Strike Productions' policy never to test any of it's products on animals... So if your dog buys any of these Blue Books he may be disappointed. This is the program that I use. Very simple - I still haven't read the instruction book. 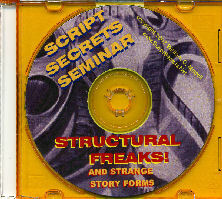 When I first bought the program, I had sold a script and got an assignment - and decided to go from my macro to an actual screenwriting program. I went into The Writer's Store and asked for the easiest to use program they had, and that was MM. I started writing that assignment without ever reading the instruction book! One key stroke does *everything*. Automatically formats your script, putting character names, scene headings, and action in the appropriate places. It also has a character name list, so you only have to hit the first letter of any character's name and it automatically fills it in. The other great thing (at least for me) is that Movie Magic also makes the most used programs for budgeting and scheduling films - and all a producer has to do is import your script to the budgeting program! Makes it easier if your script is actually being produced. If you're looking for a screenwriting program, this is the one I recommend. Buy It! Take classes on CD! Recession Sale! * San Francisco! - January 9 & 10, 2010! Cult Films, Exploitation, Bikers & Women In Prison, Monster Movies. NEW INTERVIEW!